Today is our first day of blog hops! WOOHOOO! 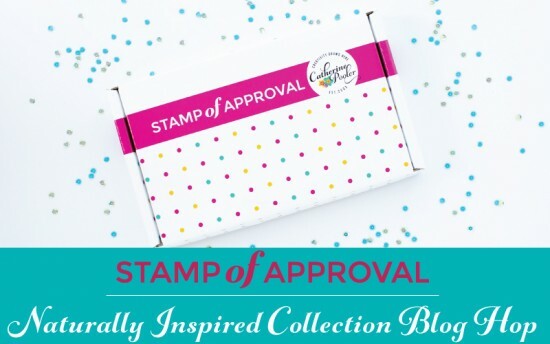 Buckle up, because we invited some pretty incredible designers to work with our Naturally Inspired Stamp of Approval Collection- just WAIT until you see all their amazing creations! Well, I haven't seen them all yet, but what I have seen has completely knocked my socks off. Just incredible! We asked each designer to pick her favorite card (some of them picked more than one!) and submit it with the supply list and instructions for making the card. We compiled those favorite cards into an amazing Project Guide download for those of you that purchase the collection – you get it FREE with your box! Pretty awesome, right? So not only do you get a box FULL of goodness…and not just any ole goodness…brand NEW goodness that was designed to compliment each other. It's the perfect mix of sentiments, graphics, main images, backgrounds, and accoutrements. You know what all this means? No more sitting down to craft and being stumped! You're going to have tons of ideas and put these products to use and before you know it, your creative juices will be flowing and you'll be one happy stamper. WAIT LIST members will receive their link to purchase the collection on Wednesday, June 7 at 9 am eastern. If you are a StampNation Member, we invite to celebrate with us on Tuesday evening at 10 pm eastern. We'll share some fun and open ordering early for you guys. Not a member? There's still time to join…click here for more deets. Thursday, June 8- if the collection isn't sold out yet, general ordering will open. On to the stamping! Let's check out this Masculine card made with the Medallion Mix-Up, Simply the Best stamp sets and the Wanderlust Embossing Powder. One thing I love about this card is how it shows off our inks! I love that you have about 5 seconds before the ink dries to pour on Embossing Powder or Glitter and emboss it. This means you basically have an embossing ink for every color we have in our line. Pretty awesome, eh? This same property also makes ink blending a dream…the ink doesn't dry quickly, so you have time to blend. The theme of our collection is NATURALLY INSPIRED, so we asked the Design Team to share how they are naturally inspired. I am naturally inspired by many things and I'll be sharing them over the next few days. First is my girls…they inspire and teach me every single day. The thing that inspires me about Anna is that if she really wants something, nothing stops her. When I was in high school, there was a trip to Spain…a few of my friends were going, so my mother said I could go, but if my friends backed out, she said I was still going. Well, my friends backed out and so did I. EEECK! Anna went on this trip, basically alone. 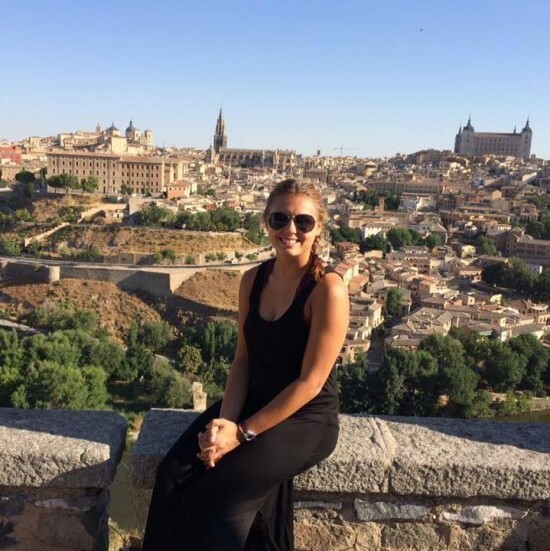 She went with a large group of people and a teacher she felt comfortable with, but none of the kids on the trip were friends of hers. That did not stop her! She wanted to go to Europe! This summer, she is going on another trip. She applied for a summer program at Harvard and got accepted, so she will be there for two weeks in July. She inspires me to go for what I want because I want it. Not for any other reason. I love that about her! So what was that? 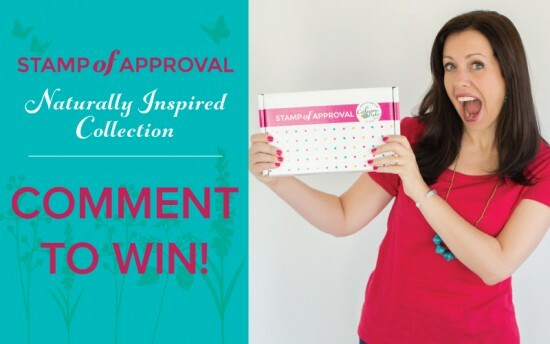 Someone is going to WIN a Stamp of Approval box? LEAVE A COMMENT LETTING US KNOW HOW YOU ARE NATURALLY INSPIRED! Entries close on THURSDAY, June 8 at 9AM EST and will be announced right here on my blog later that day. The Dream Team members and our guests have projects ready for you using the supplies from the Naturally Inspired Collection…click Melissa’s name to visit her blog, then find the list on her blog and click the next name…and so on. Don’t forget to leave comments along the way! Have fun hoppin’ and I’ll see you tomorrow with more projects!